Description: One of the gems of the sky is Hoag's Object (HO). Discovered by Art Hoag in 1950 as a very unusual galaxy, its full beauty, as a red galaxy surrounded by a peculiar very blue ring, really became apparent with the Hubble image (shown above) taken 52 years later. The peculiar beauty of HO inspired several people to peculiar explanations of this peculiar object. 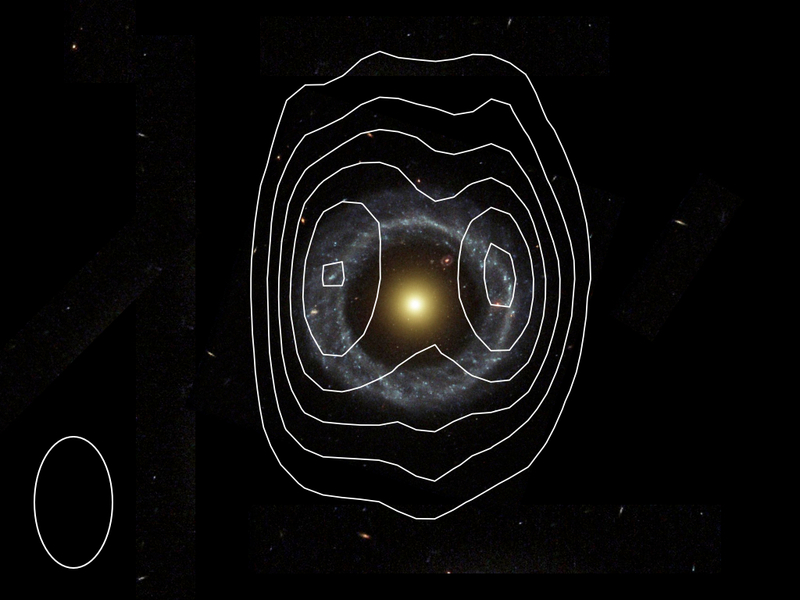 For example, Hoag himself suggested that 'his' object could be a case of gravitational lensing (it would be a perfect Einstein ring), but later observations ruled out this hypothesis because it would require the central object to be at least 100 times more massive than any other galaxy. The observations and their discussion are written in the paper 'HI in HO: Hoag's Object revisited' by Brosch, Finkelman, Oosterloo, Jozsa and Moiseev that has been accepted for publication in the Monthly Notices of the Royal Astronomical Society. A copy of this paper can be found at http://de.arxiv.org/abs/1307.6368 .